Spring Releases 2017 - Click the pic to order signed copies! Yeah, they're going to have to pry my keyboard from my cold, dead hands. I love being a writer and have no idea what I'd do with myself if I wasn't writing every day. Torture my hooligans with nagging, no doubt! LOL. BOOK NEWS: CARAMEL CRUSH is out on April 4th!!! 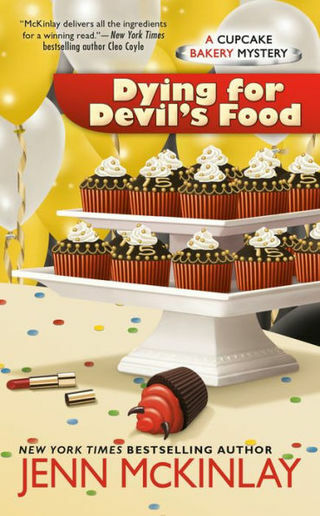 So excited for this 9th installment in the Cupcake Bakery Mystery series!!! 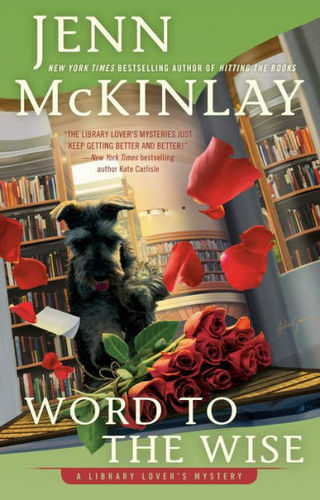 And my new venture into romantic comedy begins on May 30th with ABOUT A DOG with BARKING UP THE WRONG TREE following in September, and then (whiplash!) back to mysteries with the release of DEATH IN THE STACKS in November! What a fun year I'm having! 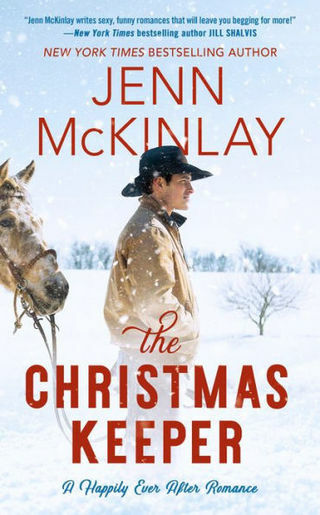 CONTESTS: Every Wednesday, there is a contest for free books, swag, measuring spoons, tote bags, etc., on my FB page: https://www.facebook.com/JennMcKinlayAuthor/ and I have recently learned of Amazon Giveaways so stay tuned as I plan to investigate those because the only thing better than getting free stuff is giving free stuff to others! EVENTS: I'll be at the Poisoned Pen in Scottsdale, AZ, for Cozy Con on April 22nd from 1-4 PM with a host of other fabulous authors including: Tessa Arlen, Hannah Dennison, CS Harris, Francine Mathews, Jennifer McMahon, Megan Miranda, Renee Patrick, & Paige Shleton. Weddings. They bring out the crazy in a person, don’t they? I’ve done more tours of duty as a bridesmaid and maid of honor than I can count on two hands, and it never ceases to amaze me how a seemingly normal woman, a person I’ve known for years, through acne, braces, thin letters from our dream schools, first boyfriends, bad breakups, and finding true love, can suddenly morph into a flower, dress, and cake obsessed zombie swathed in organza and tulle with a tiara on her head. I believe we call her bridezilla. I’m not really sure how it starts. The guy proposes and everything is all happy and sparkling and look-at-the-ring-bling and then, about when the couple sets the date, the whole thing turns into a carnival of curiosities. Brides wearing aptly named bridal diapers (no, I’m not kidding). Apparently, this is a thing now so that the bride doesn’t have to use the restroom on her special day. Ew. Then there are the bridesmaids getting plastic surgery so they are perfect looking for the bride’s wedding photo op (oh, horror!). And lastly, my personal favorite, the bride having a life-sized cake replica of herself in all of her bridal finery (mercy!). While writing Caramel Crush, it was hilarious and horrifying to research the new and different things happening in the wedding industry. Thankfully, my own wedding, was long enough ago that the crazy hadn’t really begun to happen. Having a videographer and a band, which my groom was in, was about as crazy as we got. Nowadays, wedding parties have to dance down the aisle because it’s not enough to walk and hold flowers while trying not to trip. At the reception, there has to be a fully choreographed bump and grind with the groom and all of his groomsmen for the bride or the bride and her father have to bust out some slick dance moves with which to wow the crowd. One hopes Dad doesn’t throw his back out. If no one in the family or wedding party has any sense of rhythm then it’s the theme wedding extravaganza with the event held in a Scottish castle, where everyone wears a kilt, even though no one getting married is actually Scottish. A lesser theme, of course, is the barn wedding, again where no one is actually a farmer, with the mason jar and burlap accessories to match. Both of those theme weddings could be spectacular and fun, so I can see the appeal there, but there is one trend that I simply refuse to accept. Yes, I’m sorry, but I really have to stomp my foot in protest here, what is up with the naked cake? Yes, you read that right. Naked -- as in no frosting naked. This causes me to have an actual existential crisis and makes me wonder what exactly is the point of having cake anyway? Why not just give everyone a slice of bread or a muffin? Honestly, it’s wrong on so many levels. Thankfully, I do not think the naked cake thing really took off. Continued research assures me that the hot trends are gourmet flavors of heavily frosted cake (yay!) instead of the plain old vanilla and chocolate. Also, another favorite trend is that the show stealing kids bearing rings and flowers have been replaced by the furry kids. Dogs are now in vogue for some sweet aisle time. Aw! Another cool trend is the destination wedding, where whole weekends are devoted to a couple’s big day. I like this trend. I mean if you’re going to Scotland to be in a wedding, you might as well make the most of it and bag your very own Jamie Fraser, you know, if you’re into the whole hot guy in a kilt thing. So, how much of all of this zany research did I use while writing Caramel Crush? Well, it is Angie DeLaura, our favorite bakery bestie, planning her wedding so you can imagine it might get intense. But there’s only one way to find out. Read the book! Here’s a glimpse at the story so you can see what’s happening to our crazy cupcake crew this time.